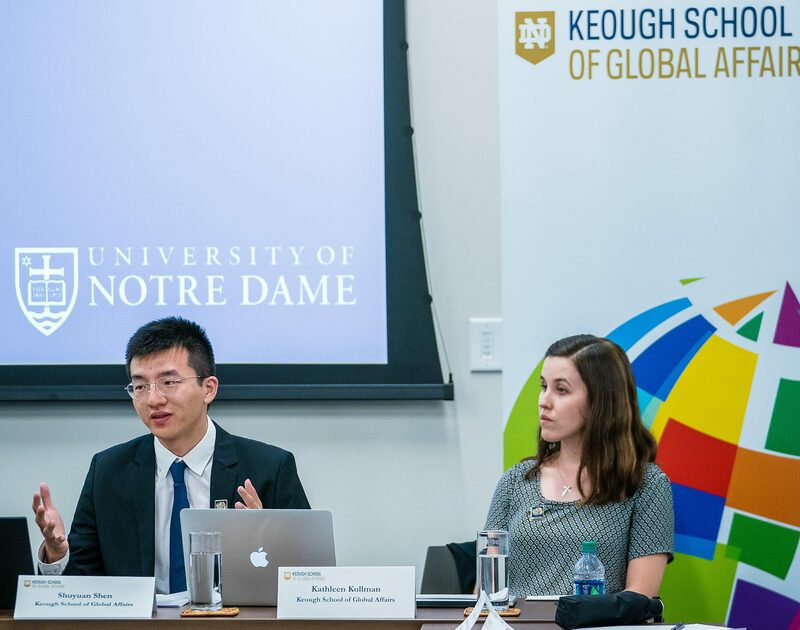 The Keough School of Global Affairs’ new Washington office provides an attractive space to enhance and strengthen Notre Dame’s ties to the U.S. capital. Through the Washington office, the Keough School expands its presence in the global policy arena by creating the opportunity to form new partnerships and convene policy discussions and debates with government officials, multilateral organizations, universities, nongovernmental organizations, religious groups, and think tanks. 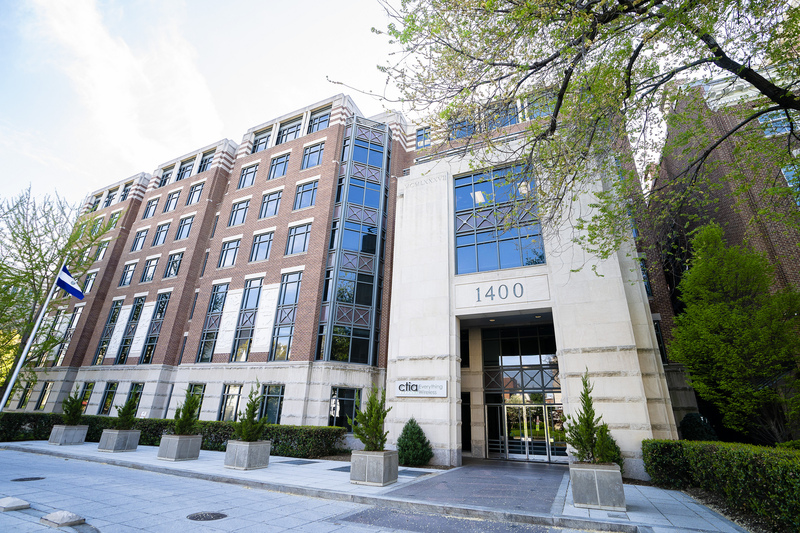 The office is located in the DuPont Circle neighborhood in northwest Washington, just blocks from several embassies, think tanks, and the World Bank. 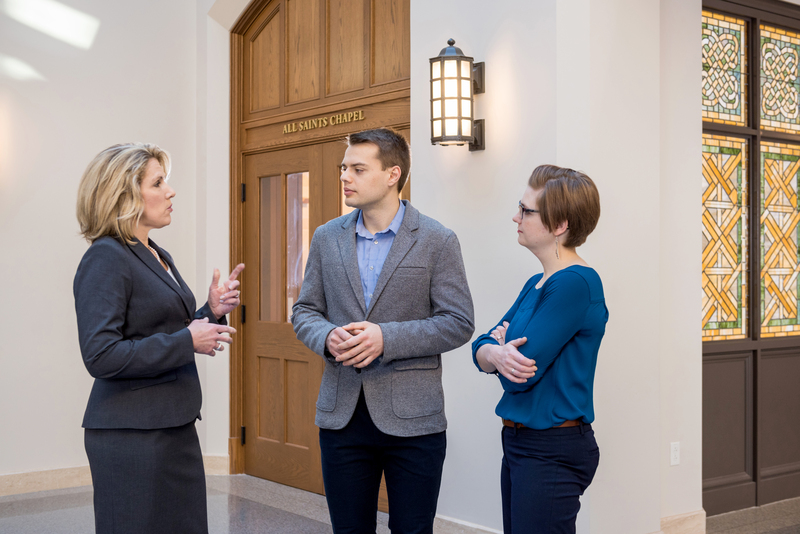 It provides a hub for Notre Dame students, faculty, and the university’s extensive alumni network, which includes more than 5,500 Notre Dame graduates in the Washington, DC metro area. The 5,000 square-foot suite includes seminar, classroom, and meeting space, as well as faculty offices and study areas. Events at the Washington office address current issues in global development and policy from a bipartisan, interdisciplinary, and ethically grounded perspective. Program topics build on the expertise of Keough School faculty and include conflict resolution and peacebuilding, sustainable development, religion in global affairs, good governance and democracy, aid effectiveness, migration and refugees, and international education. The Keough School addresses these and related topics through the lens of integral human development, the centerpiece of the Keough School’s mission. At the Keough School’s Washington office, a Master of Global Affairs student team researching the human rights of migrants recently presented their findings to staff members of the United States Conference of Catholic Bishops. The students are participating in the Integration Lab (i-Lab), part of the Master of Global Affairs program. Time: Thursday, April 25, 2019, 8:30-10:30 a.m. 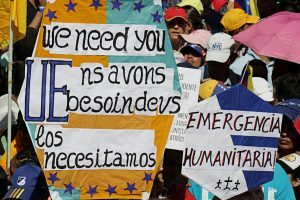 Given the urgency of Venezuela’s humanitarian crisis, panelists will address four main questions: What explains the country’s steep decline from one of Latin America’s richest countries to one undergoing economic and social collapse? What are the most realistic strategies to address the regional impact of migration and humanitarian crisis? Is a return to democracy likely? Can this change be peaceful? 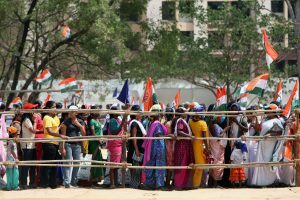 Time: Wednesday, May 15, 2019, 8:30-11:30 a.m.
Join the Notre Dame South Asia Group for two panel discussions exploring religion, public policy, and development—at a critical time when the Rohingya refugee crisis destabilizes Myanmar and Bangladesh, and the ongoing elections in India highlight the rise of Hindu nationalism in the world’s largest democracy. The Keough School and the Embassy of Ireland hosted the forum “Strategies for Lasting Peace Accords” at the Washington office. Marking the 20th anniversary of the Good Friday Agreement among the Irish and British governments and political parties of Northern Ireland, the event included a discussion of lessons from that peace process as well as the Colombian peace accord. 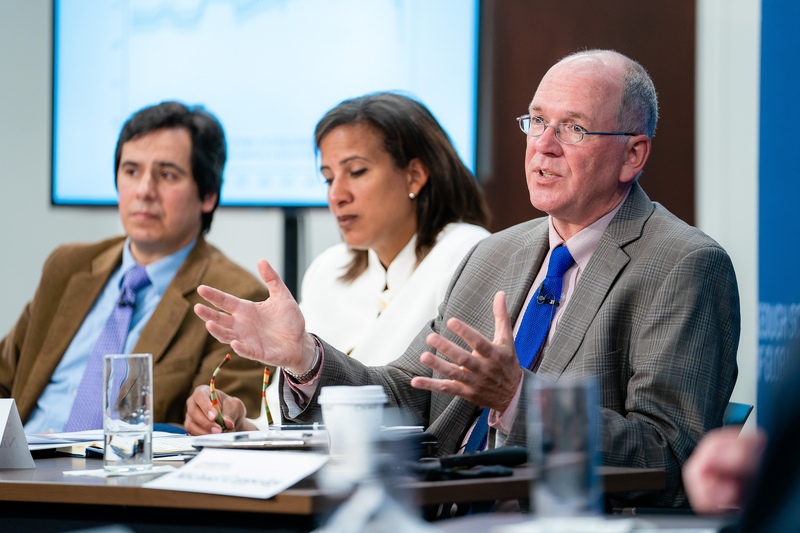 Levels of democracy are close to an all-time high worldwide, though freedom of expression, media, and civil society are under attack in many parts of the world, said panelists at a recent briefing at the Keough School’s Washington office. 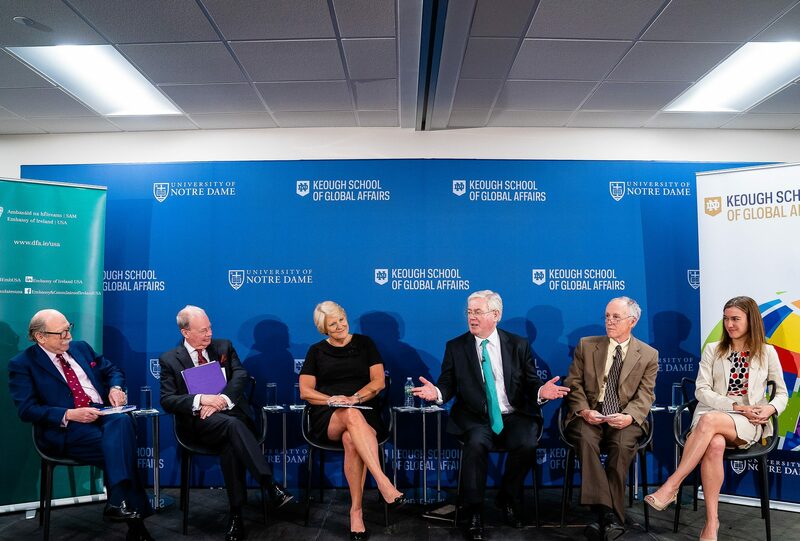 The event, attended by representatives from the U.S. State Department, USAID, the Brookings Institution, and several other organizations focused on findings in a 2018 report issued by Varieties of Democracy. Maura Policelli, executive director of the Keough School’s Washington office, provides strategic direction for programming, teaching, and outreach. She also serves as a career development resource for students in the Master of Global Affairs Program who are interested in internships or careers in the policy arena. Having spent nearly 20 years working in Washington on and off Capitol Hill, Policelli has extensive experience in national politics, public policy, and communications. Other Keough School faculty based in the Washington office include former White House Chief of Staff Denis McDonough and Francis Taylor, a former under secretary for intelligence and analysis in the U.S. Department of Homeland Security. McDonough and Taylor serve as executive fellows of the Keough School’s Global Policy Initiative.